Anthony Scanio has a “love affair,” as he terms it, with New Orleans. A New Orleans native, Scanio has been immersed in the city's culture and cuisine. In fact, his earliest childhood memory is uniquely New Orleans: Riding down Canal Street—in a high chair—during the Elks Orleans parade on Mardi Gras day in 1973. 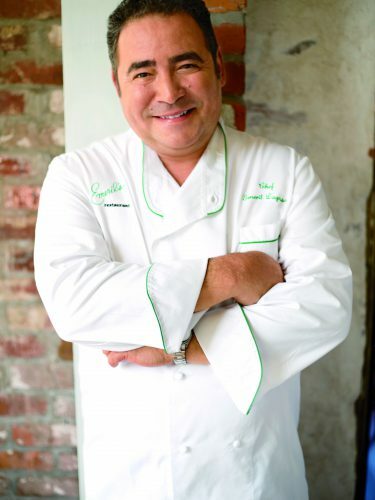 Scanio infuses these New Orleans experiences, coupled with his world travels and love of history, into the creole-inspired food he creates for Emeril's Delmonico restaurant in the Lower Garden District. 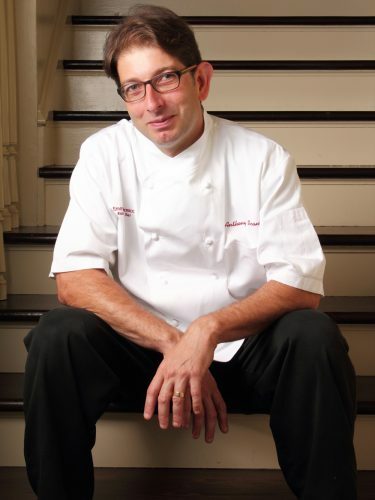 Scanio didn't begin his culinary career until he was in his late '20s, when he decided to shift his career path from English teacher to chef, enrolling in Delgado Community College's culinary arts program in New Orleans. He cut his chops in the industry at New Orleans restaurants Café Indo followed by Herbsaint, where he studied under James Beard award-winning chefs Donald Link and Stephen Stryjewski. He and his wife then moved to Italy, where he spent about a year studying the country's cuisine and staging in Rome. Scanio joined the Emeril's family at Delmonico in 2005 as a line cook. Following Hurricane Katrina, he moved to Emeril's Orlando before returning to Delmonico as sous chef in 2006. He was promoted to executive sous chef in 2009. Today, he leads the kitchen at Delmonico and oversees all facets of its culinary operations, from sourcing products, to managing the restaurant's in-house dry-aging program for beef, duck and charcuterie, to working with local farmers, and crafting ambitious nightly tasting menus for guests at his kitchen table. Scanio's vision and flavor for Delmonico is expressed through his creole heritage and fresh, clean, ingredient-based approach to cooking. He's returning to the roots of creole cooking—homey, approachable, fresh and diverse—and including ingredients and techniques that have been long forgotten to reinterpret the dishes for today's tastes, keeping in tradition with Chef Emeril's signature “new New Orleans” cuisine. 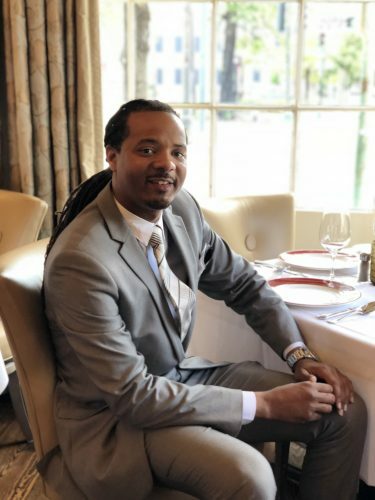 With over 14 years of experience and dedication to Emeril’s Restaurants, Vernon, a New Orleans native, was hired into the Emeril’s family of restaurants in 2002 as a busser at NOLA Restaurant in the French Quarter. He quickly moved up the ranks from busser to Captain. Displaced by Hurricane Katrina, Vern moved to Atlanta for a short time and upon his return to New Orleans he worked as a Captain at the Bourbon House. In 2007 he was hired as a front server at Emeril’s Delmonico and by the end of his first week was promoted to Captain. In 2014 Vernon was promoted to Dining Room Manager and in 2018 to General Manager.